Plan a holiday to change lives! A new year, new resolution. Resolve to help improve someone’s life and to learn about their culture at the same time. Rewarding, life changing, adventure. Don’t get angry – In many Western countries timeliness is next to Godliness. 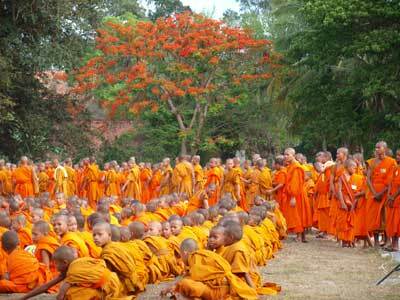 However in much of Southeast Asia, if you show impatience or anger, people will lose respect for you. Negative emotions are rarely displayed. This may show in ways you find odd. An elderly person may fall and those around the person may laugh and smile. It is their way of diffusing negative energy. 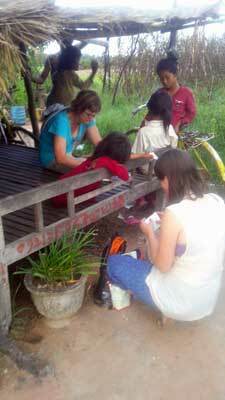 Do be prepared for personal questions - Cambodians are very curious about the outside world and about foreigners. They might ask about your weight, age, education, income, and so on. These are not seen as rude questions for them, so do not be offended. You can always politiely decline to answer. And they are genuinely curious about your life. Dogs - Dogs here are often not kept as pets. They are more commonly kept as guards, scavengers, or even for meals. Volunteers are never fed in this way, but you need to know that there are families who do. 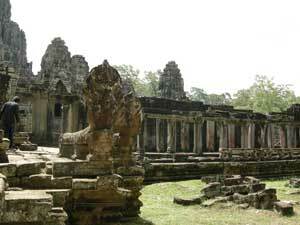 Do cover up – Cambodians are modest people by nature. Respect the culture and dress appropriately. Don't touch someone's head or touch anything with your feet - The head is sacred in Buddhist culture, and the feet are the dirtiest part of the body. You should never touch someone else's head - no patting, rubbing, or touching the hair. Don’t touch or point at anything with your feet - especially people! Being conscious of what you're doing with your feet will help you show respect for people. 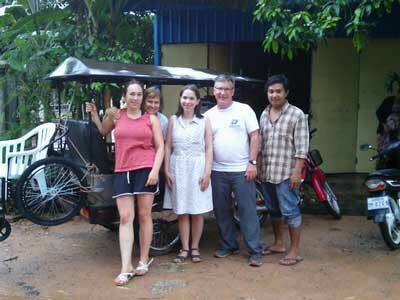 This trip gave my family an appreciation of the Cambodian culture. We did a week of teaching 5-6 English classes a day with about 12-20 kids. With that level of deep interaction we got a feel of the character of the people living in the community. We felt we were doing good and being part of the change there. About 80% of the community is rural and live off of $2 so tourism is very important and learning basic English can get them a hotel job where they can earn $5. That is why teaching them English was so important. We also helped build a tin roof for a local needy family. The roof would have cost them $37 and would have been an impossible dream. On our last day of teaching, after spending 5 days we had a party for the children and we taught them about feelings and emotions. The kids had never seen themselves in videos and were so amazed, they had a blast and giggled the whole time. They also gave us tons of hugs and kisses. You can’t buy that! The food was awesome. We ate at local restaurants that serve a delicious dinner and we definitely expanded our culinary palettes. There were fried tarantulas and all types of creatures in the markets for people to eat. We also bought several cookbooks to try at home! Yes, very meaningful. The more time you spend in direct interaction the deeper the meaning will be. Connecting with kids is so much easier because children are so open and willing to be vulnerable. Heat up the oil in a stir-fry pan over high heat. Add the prawn and stir-fry for about 1 minute. 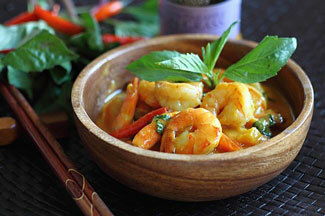 Pour the stir-fry sauce into the pan and stir well with the prawn. Add the bird’s eyes chilies, chili sauce, fish sauce, coconut milk and water. Dish out and serve immediately with steamed rice.